Any average PC user would tell you how important having an active antivirus/ anti-malware protection is. However, security software has developed (along with cyber threats), and now the average user can choose between an array of security-oriented products. For example, the growth of banking malware and digital identity theft has led to the development of software that specifically protects the user against information stealers, keyloggers and similar. Let’s have a closer look at Zemana AntiLogger – an anti-keylogger piece of software that protects users from keyloggers, banking malware, spyware and remote surveillance programs. Operating System Windows XP, Vista, 7, 8, for both 32-bit and 64-bit OS. 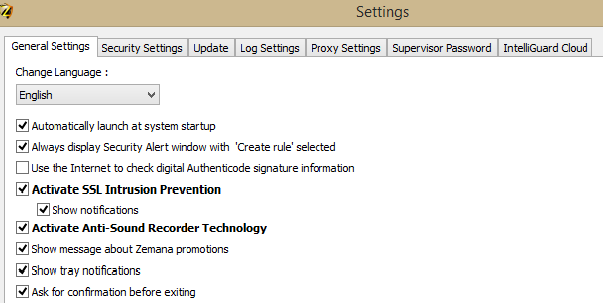 Zemana AntiLogger Free is light-weight but powerful app that monitors all activities on your PC. Heuristic based functionality allows Zemana AntiLogger free to prevent your financial and private data from being misused. Zemana AntiLogger Free comes with two basic modules: Keycrypt Encryption and SSL Protection Module, so everything you type is protected and your online browsing is secured against hackers intrusion. The very first thing to mention about Zemana AntiLogger is that the program has a free and premium version. There are features present in both versions. Needless to say, the premium version has more options. The paid version offers support for multiple languages, financial malware protection (such as banking Trojans), screen capture protection, webcam and microphone hijacking protection, clipboard remote access and system intrusion protection, priority updates, cloud powered protection (IntelliGuard) and free technical support. Depending on the type of protection you need, you can easily choose between the two versions of the software. 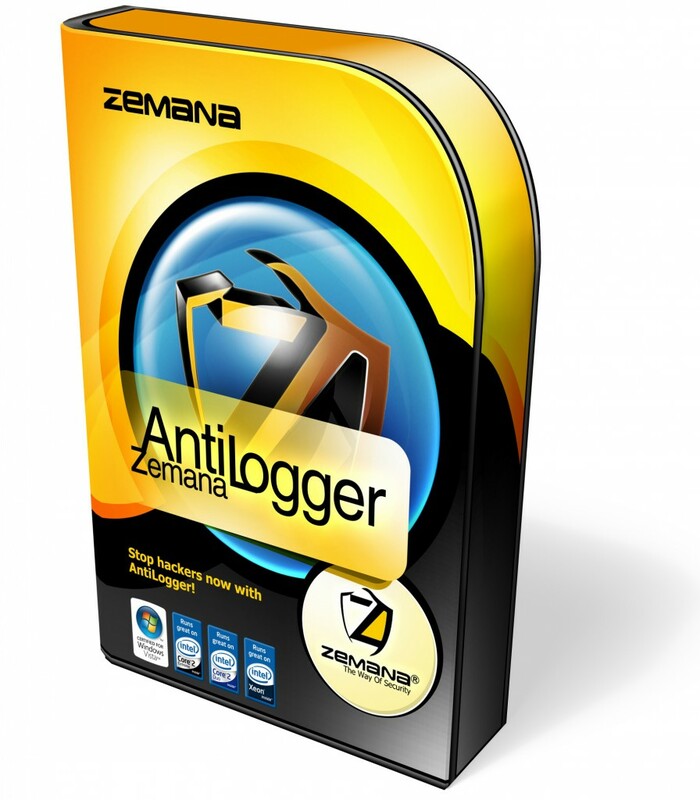 As already mentioned, Zemana AntiLogger offers protection against all types of keyloggers and infostealers. It can also block hackers who try to turn on a user’s webcam and microphone for cyber espionage. And it also provides screen-capturing protection. Besides those quite impressive features, Zemana AntiLogger offers additional ones for advanced protection. The program has an easy to navigate interface, and if you have any questions about its functionalities, you can easily go to the Help button, where you can find additional details about the installation and usage of the software, the protection and management console, and its settings. You will also find a Glossary of Terms. If you are afraid that someone may try and disable the program, you can add a password to protect it from alterations. The program enables you to manage (rule) lists (in the management console) – once a process is added, Zemana AntiLogger will memorize it. You can password-protect the program to make it even more secure. A virtual keyboard could be added to Zemana AntiLogger’s set of features – not a big minus, since the Windows OS has an on-screen keyboard. Zemana AntiLogger will add one more layer of protection and will run alongside your antivirus solution (unless it is any of the ones listed above). The program has various features and provides protection against banking malware (in its paid version). If you want to increase your protection against cyber identity and financial theft, consider installing the program. I purchased Zemana anti keylogger 2 weeks ago, they charged my card 29.99 USD. Then sent me an e-mail with a 16 digit pass code, 4 E-mails with CSR, back and forth, and no way to activate, or place to enter the 16 digit code, for my paid-for 1 year subscription. Today, I received a notice that my subscription was not activated and therefore cancelled/deactivated. Today, As I scrolled through google, it shows 7 days ago Zemana has shut down it`s free version, effective immediately (as of 7 days ago) but the 29.99 version was still available. They may have just gone out of business, i received no answer to my question on my subscription, or a refund. Hey !, I found this information for you: "Zemana AntiLogger Software Review". Here is the website link: https://sensorstechforum.com/zemana-antilogger-software-review/. Thank you.